Fantasy cricket has gained so much popularity over the last half-decade. Fantasy cricket has become one of the most sought platforms for sports lovers in India. Due to the craziness of the cricketing fans, Fantasy cricket platform gains so much hiking and popularity. With the help of the internet, it has evolved into a multi-billion-dollar industry in the world, the fantasy cricket industry generates nearly $ 2.2 billion revenue every year in different nations. Many big cricketing events are going to take place in next few months such as ICC Cricket world cup, T20 World Cup, Big Bash League, and IPL is already started and going to energize each cricket fan. This market is giving a pool of opportunities to many companies for catering the Fantasy cricket app development businesses. Fantasy cricket is a part of online gaming where the user creates a virtual team of real cricket players, create a dream team and compete against other users based on which points are generated. Generally, fantasy cricket users can use their cricketing knowledge to compete against each other for winning the great cash prizes or for the fun. Points to be calculated on the basis of the selected player’s performance in the real live match and the user with the highest points win the game, awarded with a real cash prize. How to make money in Fantasy Cricket? Scoring the great points in the Fantasy cricket follows the same general rules as user played in fantasy sports, you select players who are competing in the given sport and produce points for you during the live match. Pick up the best fantasy cricket hosting site or app that creates the contests and makes the payout. Create your account and make a deposit. There are thousands of fantasy cricketing contests. Each contest is different in its own way, start with your contest. The building of a dream team is literally very easy. Once you join the contest, you are the trigger to draft your team and play among family members, friends, and co-workers. Watch your team rise and fall in the contest as the game progress. If you rank no.1 on the leaderboards you win the contest and win real cash, if you lose then it will give you a lesson how to draft your dream team and gain the no.1 spot in the contest. Why Mobiweb Technologies for Fantasy Cricket App Development? The popularity of the Fantasy cricket apps and websites is gaining speed like Usain Bolt. Mobiweb Technologies is a renowned and specialist Fantasy cricket app development company. We design and develop fantasy cricket apps and software for all the major international and domestic cricket tournaments like ICC World Cup, T20 World Cup, Champions Trophy, IPL, Big Bash league, Ranji Trophy, Duleep Trophy, and many others. 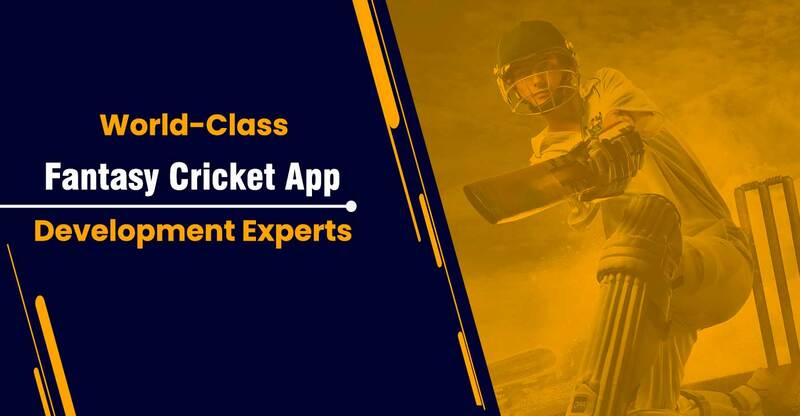 If you are interested in building your own custom fantasy cricket app, software or website, Mobiweb Technologies is the right place for you to upstream growth in your Fantasy cricket business. Contact us by visiting our official website.